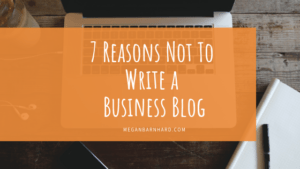 I recently gave the short answer to this question during a live training for business owners about how to break through resistance and finally publish their blogs. But this questions deserves a long answer, too. 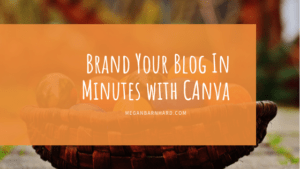 Your blog is your tool for finding those perfect-fit clients who are dying to work with you but don’t know you exist — yet! So let’s dive deep into how to get more eyeballs on your blog, build our following, and turn your followers into fans. 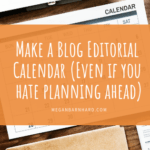 The absolute best way to get eyeballs on your blog is to send out a weekly newsletter to people who have subscribed to your email list. 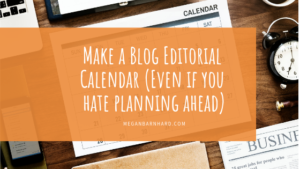 Your email subscribers are the most likely to click through to read your blog post because they have specifically said “Yes” to hearing from you. They signed up because they wanted to get more of your thoughts. When they get high-quality content from you week after week, they know your blog is a go-to resource. Plus, they get to know you. You’ll start building a relationship and become a trusted resource. So, even when they see content that doesn’t necessarily apply to them directly, they’ll still want to check it out because they like what you have to say and how you say it. For example, let’s say you’re a wellness coach. One of your subscribers is Jane, a young mom who loves your tips about holistic health. When she gets your newsletter and sees you have a blog post about all-natural remedies for hot flashes, it won’t be helpful for her personally. She might open the link and skim it, or she might skip it if she’s busy. But she’s likely to forward the email to her sister-in-law and her co-worker, both of whom are in the first stages of menopause and having a rough time. Why? Because she knows you always put out high-quality posts. She feels good recommending you to her circle of friends and family. And her sister-in-law and co-worker are more likely to read the blog post when Jane tells them that she’s forwarding an article from a great blog that she reads all the time. Even in the digital age, personal referrals and recommendations are as important–if not more important–than ever for building your following. Bonus: Writing and consistently publishing blog posts is actually a draw to get people to sign up to your email list. Voila! You’re growing your list. Which is really important because it’s a direct line of communication with your ideal audience. Wondering what the heck to Tweet about, post to your Facebook business page, or share in your Instagram story? People who like your page or follow you on social media want to hear more from you. Help them get a bigger dose of you and your bright, shiny personality by sharing the link to your latest blog post. Sharing your blog posts as social media content is a double-edged sword. You have the potential to widen your reach. When you share from a public profile or page, people who’ve never heard of you might see your content when their friends engage with it. But, you have zero control over who sees your content on social media. Each platform has its own algorithms that are subject to change, and just because people like or follow you doesn’t mean they see what you share. You’re inviting people from those platforms owned by someone else back to a platform owned, and controlled, by you! Once those readers are on your website to read your blog, they can check out your About Page to learn all about how awesome you are. They can also check out your Work with Me/Services page and start the journey from readers to customers. This final strategy might be the last one you’d think of. Some business owners overlook it entirely. Share your blog posts with contacts you think would be interested in them. When someone asks you a question about your field, your blog can be your go-to source for an answer. It’s like a vault of information that you can share with other people. Best part? You’ve already written it, so all you have to do is share a link! These questions might come from your subscribers, people on social media, or even current clients. Sending a link to a blog post can be the start of a great conversation. For example, let’s say someone in a Facebook group you’re in posts a question about your field of expertise. You can write a really long, in-depth comment answering her questions. Bam! Now you look like a super helpful person without taking over the comment thread. 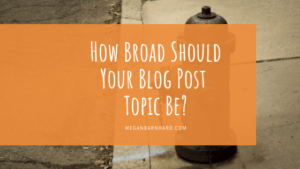 When you share blog posts you’ve already written, you can save your typing energy for responding to people’s individual questions to take the conversation deeper. And don’t think that just because someone has signed up to be a client that she knows all your best tips! If a client is struggling with something and you’ve got a blog post all about it, share away. It’s one more layer of great service you’re providing by directing her to exactly the spot where she can find answers. Sending someone a relevant blog post is also an easy way to follow up after meeting for the first time. 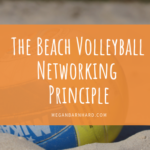 If you go to a networking event and make a new connection, why not follow up by sending a helpful tip? You can send a simple email saying, “I enjoyed our chat about X, Y, and Z. I thought you might be interested in this blog post with more information about how to use Z to X and Y. 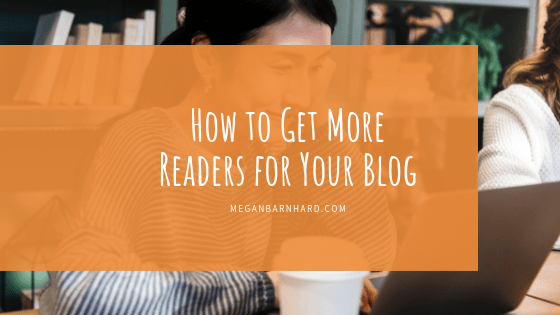 You can get more readers for your blog by sending out a weekly email newsletters, sharing links via your social media pages, and sharing with your network, including clients. Each has its advantages, but don’t fret over which one is the best. Instead, start with the one you can do right now! Keep showing up week after week, delivering quality content. Keep being your fabulous self. And keep telling people what you’re doing by sharing your blog. That’s how you’ll grow a tribe of readers who are excited to hear what you’ve got to say. 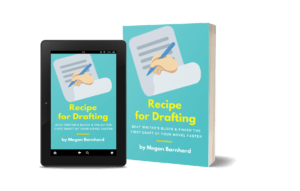 Want more tips to take the mystery out of writing content for your business? Sign up for my weekly newsletter.